Twitter has become an invaluable breaking news tool, particularly in the sports world. In a furious flutter of tweets and retweets, the social media site spreads news of lockouts ending, major trades getting approved and blocked, and free agents signing to new teams. Television networks and websites actually look late to the party when they post "big news," because you've already been alerted half an hour ago by 20 of your friends. Behind every one of those chains of tweets, however, are dedicated reporters working to get you your news quickly. Once the news is out, these reporters and other writers take to Twitter to make the first quip, sort through messes, and answer questions. 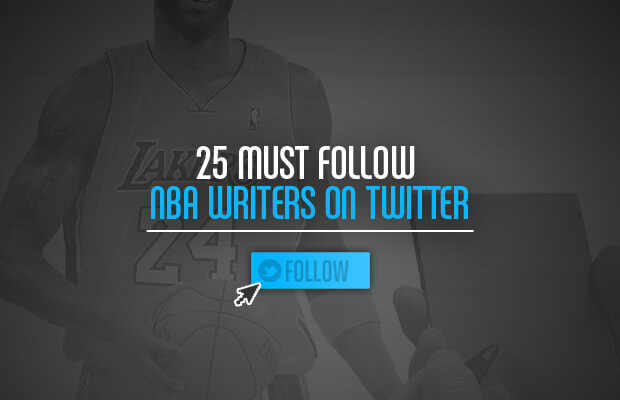 Using these reasons as criteria, we shook down the pretenders and wannabes to present to you, in alphabetical order, the 25 Must-Follow NBA Writers on Twitter.